Innovation isn’t just a business buzzword here at LeagueApps, it’s a frame of mind. We know that the game is changing both on and off the field, and to keep pace we’ve worked tirelessly to improve our product. 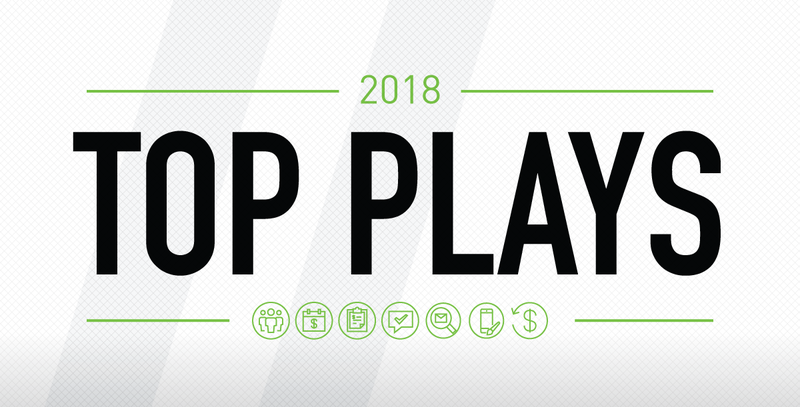 As a result, 2018 was a game-changing year for us and our partners. To understand what has been improved and how it can positively impact your organization, check out these highlights from our Product Team. Each team within a program can have special pricing, registration configurations, and payment plans. This is a huge time saver for Club programs and allows you to accommodate teams with different pricing! If participants need a flexible payment option after they register, admins can now convert a regular unpaid invoice to a payment plan at a moment’s notice. Specific installments on a payment plan can now be refunded, without having to refund the entire invoice. Monitor payment plan activity; track outstanding and upcoming payments for specific installment dates. Email messages sent from a LeagueApps account are tracked, allowing admins to view delivery statuses and recipient engagement. We enhanced our email deliverability to validate email addresses in real-time and ensure that email messages sent from LeagueApps avoid Spam folders and get to your participants. Offer mobile access to the exact tools and information your teams need throughout the season. This new branded app seamlessly syncs to LeagueApps so there is no extra setup, maintenance or account creation. Access to team schedules, calendar sync, attendance tracking, rosters, and messaging in one, centralized place. These upgrades are just scratching the surface of what is to come in 2019 and beyond! We’re living up to our motto “Play for the future,” so if you have any suggestions as to how we can improve your experience, feel free to reach out! This piece was written by a member of the LeagueApps Editorial Team. LeagueApps works with the highest calibre of independent journalists and industry experts in the country.